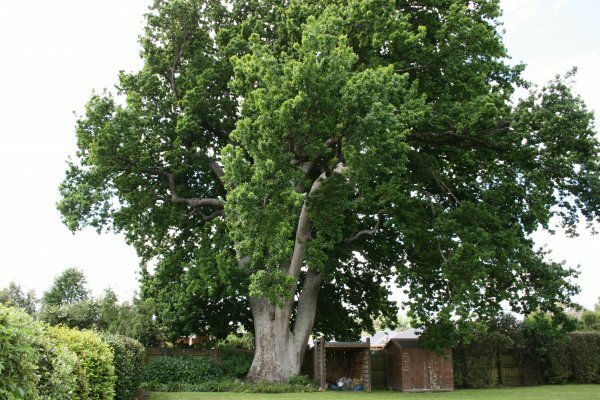 "There are 5 other c. 1860 oak trees growing within the Greytown Ward and protected in the District Plan. All are on private property (as opposed to Farley's Oak which is located on Road Reserve). Of these, the biggest tree is at 3 (sub divided now stands at No.2 - R.H) Clara Ann Grove (Mrs D Ross) and originally listed at 51 Reading Street. 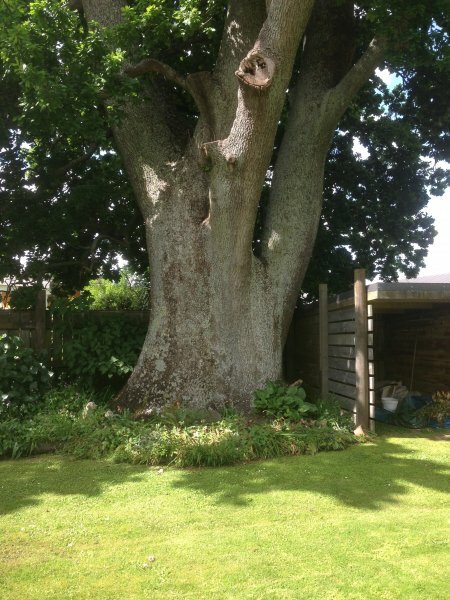 In 1982, the tree was noted by the Greytown Beautifying Society as "free standing oak, sited in open space. Notable age, height, girth and canopy." When measured by Cooper/Eaton in May 2008 its girth was 5.73m (5.65m in 2007). The tree is very healthy and now the same girth as Farley's Oak on West Street. There is no information on who planted this "Ross" oak but it obviously came from the Mead acorns." (Neil Cooper Trees of Greytown). 09 Apr 2018 Hill, R.N.